Hayley's Paper Garden: Friday Mashup ~ Fun Fold Cards! Hello All :) Hope you all had a fantastic week and are looking forward to a fun weekend ahead. We have had family visiting for the past few weeks and this is our last weekend of fun before they head back to the East and West coasts... But I did manage to snag a bit of time to pop in with a quick blog post! 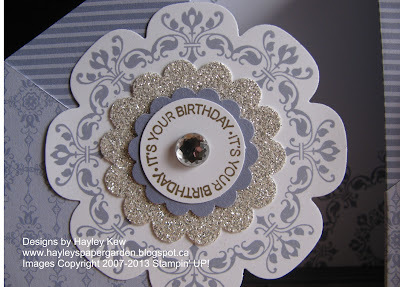 Here is a card that I made with my stampers club last month. For the next 6 months we are focusing on Fun Fold Cards so when I saw the challenge over at The Friday Mashup this week I just had to enter these cuties! A "Z" Fold Card... And here is a variation of that such card!!! Your cards are so yummy! I'm going to have to try this fold. Thanks for joining the Friday Mashup this week. 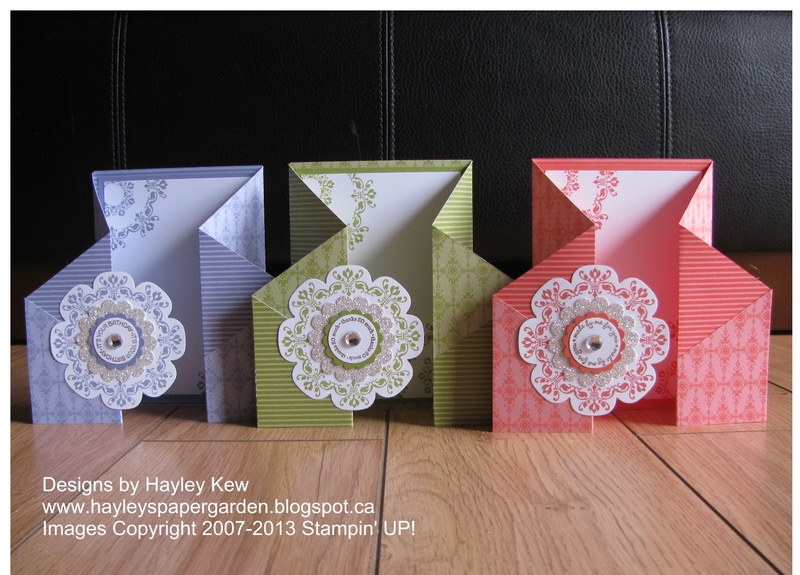 Thanks for sharing the cards you made for your Stampers Club, they look great. So cute! 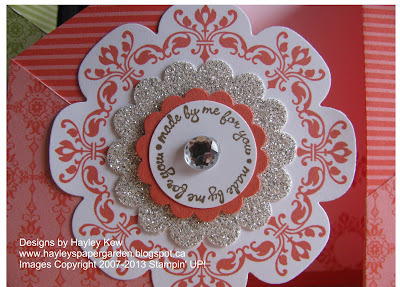 Love the different colours you've used and the flower in the centre is perfect - love the glimmer paper! Thanks for playing along with the Friday Mashup this week!